Nour Shams refugee camp is situated close to Tulkarem in the north west of Palestine. The camp was established in 1952 with a population of 3,000 people. This number expanded in 1967 and today is home to approximately 10,000 people, all within the same original and allotted area. 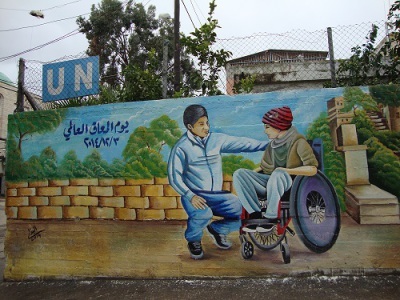 Unemployment is around 60%, with potentially between 400 and 500 disabled people in the camp. Here, ABCD is sponsoring the salaries of a physiotherapist and a speech and language therapist, who are both incredibly energetic and immensely proud of their centre. ABCD were also able to install, fund, and support the training and running costs of a sensory room. 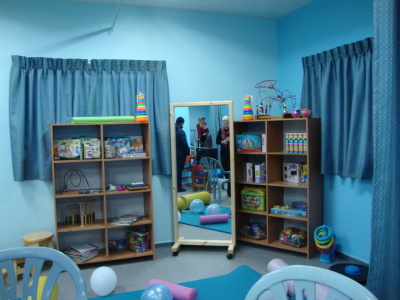 A sensory room facilitates the realising of true holistic rehabilitation. 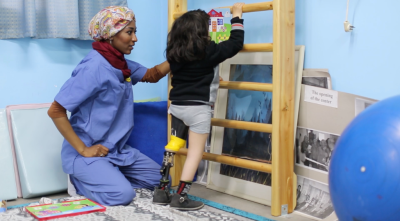 The children clearly enjoy their treatments – to watch a child of four who has never walked take his first steps, initially aided by the parallel bars and then to launch off unaided is truly wonderful, or a young man aged 15 able to pull himself up from a life of sitting in a wheelchair to standing, stretching out all his limbs with a huge smile on his face is so rewarding. The families of these children are encouraged to meet together to share similar problems, to solve problems and build community support networks. Families in this situation can feel very isolated. Prior to ABCD’s involvement, which started in late 2014, there were no external agencies or International Non-Government Organisations supporting Nour Shams, other than UNWRA (United Nations Works Relief Agency), and now sadly because of the escalating conflict in other parts of the Middle East, UNWRA’s funding is under threat and they have had to cut back their financial aid to the Camp by 65%. The Camp offered very limited services for the disabled and the UNWRA funded programmes only addressed the needs of children over 6 years of age. 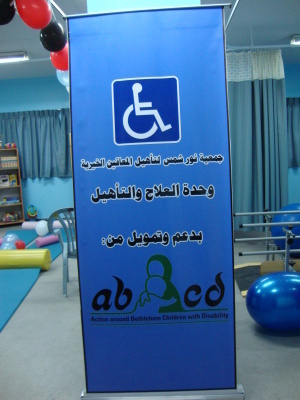 Once again, ABCD to the rescue, as with Jalazone refugee camp, ABCD trustee UK based Palestinian Firas Sarhan following an exploratory visit brought to our notice the dire needs of those children with disabilities. Over the past two years we have made very positive changes, bringing help and hope where there was none before. The small inadequate rehabilitation centre is now buzzing following the refurbishment of treatment rooms, which are well fitted out with up to date equipment for treatment. The inhabitants of the Camp have refugee status and therefore fall outside the remit of the Palestinian Authority and, it is probably unique among Palestinian refugee camps, in that all the residents originally came from one location, having all been exiled from Haifa. The overcrowding is acute, with no outdoor public space, no playground, no park area or football ground. Electricity is intermittent and water rationed during the summer months. This makes ABCD's support even more important. 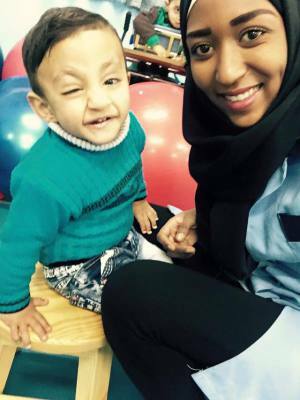 we would like to build up a fund to supply individual children with necessary permanent special needs as we do with the BASR, such as wheelchairs, walking frames, specially fitted orthoses, medical boots, specially adapted seating, hearing aids and eye glasses and other small but necessary aids. We are making life changing differences to these children in the refugee camps and with your help we will continue to do so.